It’s said that Bitcoin crosses all borders, and nowhere could this point be better proved than in the all-reclusive North Korea. A tourist who went to visit North Korea to watch the Dennis Rodman basketball game used the country’s Internet service to send $100 worth of Bitcoins to Sean’s Outpost, a homeless outreach center in Florida that has been seeking donations via various virtual currencies. What better use case of bitcoin than to send money internationally from what is probably the most restrictive country in the world? And what better recipient of that money than /u/SeansOutpost? With bitcoin, borders mean nothing! The donation was later confirmed by Sean’s Outpost. 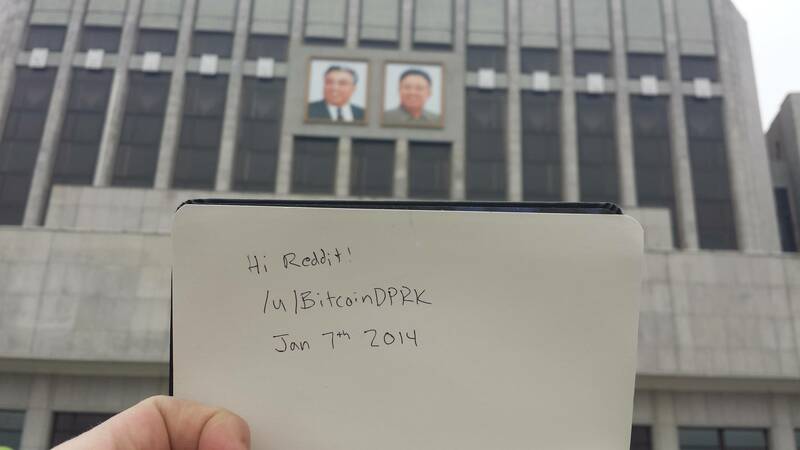 The Reddit user, aptly dubbed BitcoinDPRK, did note however that a large majority of North Koreans still don’t have access to the Internet and Bitcoin won’t take off till a long time later, but says he has been giving “paper wallets with a few mBTC each” to the Korean guides accompanying them on the tour.